It's December. Got lights? Got snow? Got bucket loads of greenbacks? Got hi-tech devices nestled in their beds? No worries. This winter season break away from the commercial hijacking of one single day this month and choose to enjoy the simple things of life with your family. 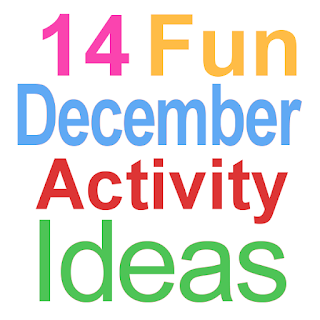 Here are 14 fun December activities to plan before the snow falls. Looking for fantastic ideas for planning a super fun family reunion or seasonal family activities? Get Fimark's Family Reunion Planner book and Fimark's Family Reunion Social web app. Everything you need for family event planning year round.